The first Dragon Ball Xenoverse was a fun new take on the classic super fighting series. Xenoverse 2 aims to expand on that by adding more characters, stages, transformations and a new story that has you retracing the series’ historical fights. It mostly succeeds, but adds some new frustrations along the way. One of my biggest complaints about the original Xenoverse is the fact that the hub world, dubbed Toki Toki city, was small, segmented, and hard to get around. Fortunately, Xenoverse 2 features a new, more condensed hub called Conton City. Rather than being split up into three main sections, Conton City is one large map with small regions representing famous Dragon Ball locales. In the new city, you can find the same amenities you’re used to from Xenoverse. The shopping district has places to buy new clothes, new moves, and items. There are, like the previous Xenoverse, quests scattered throughout the world as well. These quests can come from random NPCs, or from well-known characters from the series. Conton City also serves as the hub for meeting other players, similar to the Tower in Destiny. If you see another player you can invite them to join a party, dubbed teams in Xenoverse 2, but these teams only persist for the session, and are gone once you’re done playing. I would have liked to see more options for grouping up with other players, but we’ll get back to that later. Even though everything is condensed into one map in the new hub, it’s not at all cramped. Conton City is a sprawling map; so much so that it can be a pain to traverse on foot. Fortunately, at the beginning of the game, you’re given a vehicle to ride, and later on you’ll unlock the ability to fly. Flying around the city feels fun, but even that can take a while if you’re traveling from one end of the map to the other. To help remedy that, the map is dotted with little robots that will teleport you to various places of interest, provided you’ve unlocked them by visiting them beforehand. In both Xenoverse games you choose to train under a number of characters from Dragon Ball Z from major characters like Goku and Vegeta, to some not-so-big names like Hercule and Yamcha. Xenoverse 2’s structure for this kind of training is very similar, save for one major difference. In the original, mentors would appear and disappear from Toki Toki City with no rhyme or reason. If you saw a character and didn’t want to train under them yet, there was no guarantee as to when they would return, which was incredibly frustrating. Fortunately, this has been remedied in Xenoverse 2. Each instructor is always in the same place and never leaves. This time around, to get new instructors to show up, you need to take a test. After doing a certain number of training missions with various teachers, you’ll be presented with the opportunity to take a test to move on to the next rank. With each new rank comes new instructors, each of which will teach you a few super moves and one ultimate move. It’s a much nicer system than the one we got in the original Xenoverse and shows the developers are listening to fans’ gripes. One of my favorite new additions in Xenoverse 2 is the expert missions . An expert mission is as close to one of Destiny’s raids as you’ll get in a Dragon Ball game. Each one allows for up to five players to work together to take out a larger scale enemy like a giant ape or a powered up version of one of the regular enemies, like Turles or Lord Slug. Each of these types of enemies have a few tricks up their sleeve to keep all five players on their toes. One type of attack will send the players to various different portals, while another will send you to a dimension to fight yourself. While you’re fighting yourself, your character will turn on your allies on the other side. In order to escape you can either beat your doppelganger, or your friends can knock you out. It’s a cool mechanic that makes Xenoverse 2 feel like more than just another brawler. At some point, every Dragon Ball character has been playable in at least one of the many, many games based on the series, if not more, so it should come as no surprise that Xenoverse 2 manages to pack in a good number of fan favorite characters into its roster. A few characters from Toriyama’s latest, Dragon Ball Super, have been added to the mix this time around as well. That new Future Trunks is in Xenoverse 2, as are Hit and Cabba. Aside from them there are few characters that are truly new to this iteration, but all the names you would expect are there, from Goku and Vegeta to lesser characters like Zarbon and Dodoria and everyone inbetween. Even with all of its MMO-like elements, Xenoverse 2 is a fight game first and foremost. Just like its predecessor, the combat system seems shallow at first glance, but gradually reveals a hidden depth the more you get to learn it. It’s easy to mash out simple combos that are flashy, but your opponents have a bunch of different defensive options to help turn the tables. The action captures the feel of the anime perfectly. If you’re being smacked around, you can disappear behind your opponent and counterattack. In combat you have two critically important gauges to keep an eye on, your ki and stamina. Ki controls your ability to use the series’ signature energy attacks, and stamina controls high speed movement and defense. Stamina is consumed pretty quickly if you decide to block a huge beam attack or repeatedly vanish to escape an opponent, so you need to be careful. This time around, the developers seem to have intentionally made it more difficult for larger beam attacks to hit, so you’ll need to dive deeper into the combo system to figure out how to connect with some of the most rewarding techniques. If Xenoverse 2 is half fighter and half MMO, the latter half is only kind of okay. Unfortunately, the team behind the series hasn’t really learned how to better connect players. Once you’re in a group, online play is fairly painless, but the setup of the whole thing is still more of a bother than anything right now. You can group with people from either the single player lobby or the multiplayer lobby which is nice, but if you want to run missions with the same group of people, things begin to get a bit tricky. To start a team, you’ll need to go to the team counter, which is only accessible in the multiplayer lobby. Once you’re set up in a team, the leader has to then set up a room for the mission the team would like to tackle, then each team member has to meet at the spot and talk to the same NPC to start the mission. That’s not terrible on its own, but when you consider the fact that you have to do it for every mission you’d like to do, it becomes old fast. Dragon Ball has never really been known for having an excellent story, and the Xenoverse series is no different. Much like the original, Xenoverse 2 centers around bad guys messing with the timeline of events to kill Goku and friends. As a time patroller, your job is to right these wrongs and return things to their rightful state. It’s essentially the exact same story as the original, with some new players involved and plot twists along the way. Even if you played the first game, you’ll need to create a new character when you begin. After a few story missions, you’ll get the option to import your character from the original, but you won’t get to play as them. Instead, you’ll see your old character in various cutscenes, and they’ll be talked about as though they are a legendary hero. It’s a cool little touch, but nothing so significant that those that didn’t play the original would be missing out. What would a Dragon Ball game be without the ability to transform? This time around, every playable race has a transformation all their own. The transformations can be somewhat disappointing though. Saiyans for instance can only transform as high as Super Saiyan 3, which was made obsolete with the introduction of Super Saiyan God and Super Saiyan Blue in Dragon Ball Super. The Frieza race, however, can take on Frieza’s new golden form, which debuted in the same movie as Super Saiyan Blue. The Majin race can turn into a smaller childlike form, similar to Buu, Namekians can become giant and Earthlings, for some reason, can summon the power pole and flying nimbus. There’s still quite a bit of DLC planned, details on which are currently pretty thin, so there’s a chance we may get some of the things that feel overlooked, but as it stands now it feels like a missed opportunity. If you’re a Dragon Ball fan, you’re going to love Xenoverse 2. If you’re not, there might not be enough here for you. 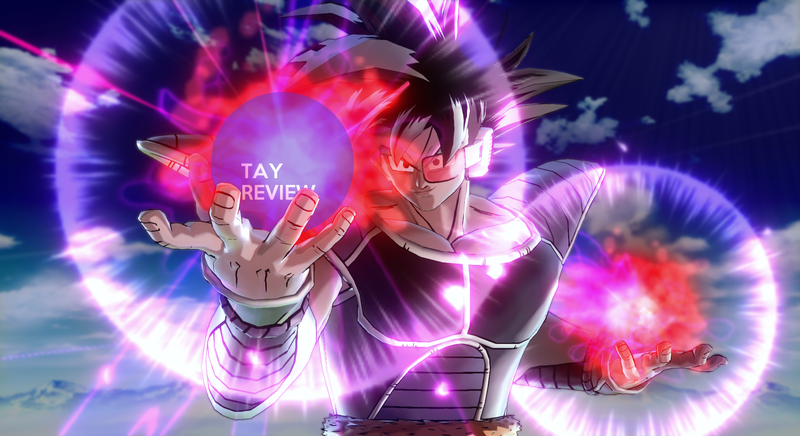 Just like the previous game, there’s a deceptive amount of depth to the combat system, and Xenoverse 2 adds some much-needed co-op missions to the game to help extend its life. The roster is the best any Dragon Ball game has ever seen, and it’s just as pretty as its predecessor, which isn’t a bad thing. If you’re a fan of the series and haven’t yet picked this up, give it a shot, you’ll be glad you did.